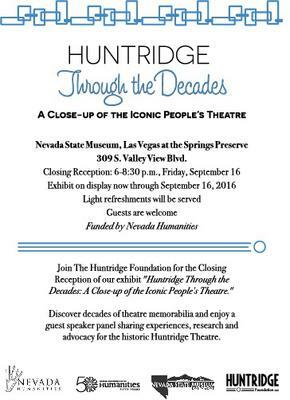 The Huntridge Foundation is hosting a closing reception for their "Huntridge Through the Decades: A Close Up of the Iconic People's Theatre" exhibit at the Nevada State Museum. The event is open to the public and will take place at the Nevada State Museum located at 309 S. Valley View Blvd. 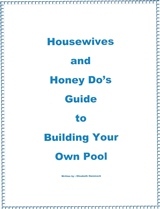 The event will run from 6-8:30 pm on Friday, September 16 and light refreshments will be served. The reception will feature an intriguing guest speaker panel sharing experiences, research and advocacy for the historic Huntridge Theatre. The exhibit, funded by Nevada Humanities, opened on June 16 to remind the community about the Huntridge Theatre’s important role in Las Vegas history. The historic theatre opened in 1944 and is listed on both the State and National Registers of historic places. Those who visit the exhibit are able to discover decades of theatre memorabilia, including former furnishings, fixtures, and equipment from the Huntridge Theatre, such as original 1944 theatre seats and theatre audio equipment from the heavy alternative rock era of the 90s.